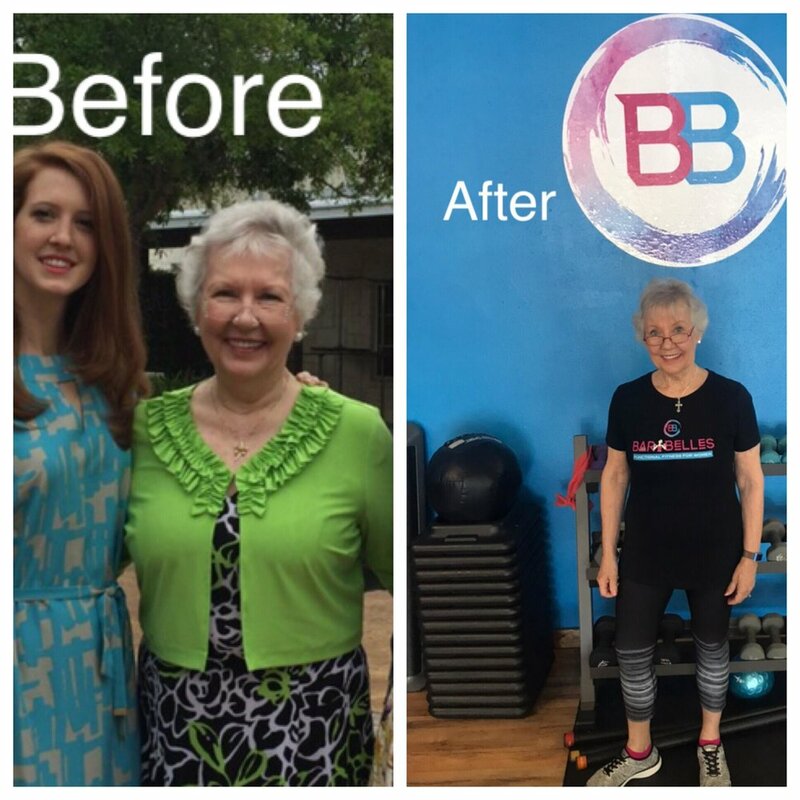 Kathy, age 69, has lost 48 lbs., gained lean muscle, improved her balance, bone density and posture. She now has so much more confidence and loves strength training three to four days a week. Leslie, age 58, has lost 50 lbs. and has also gained leaned muscle mass as shown in her pictures. She has her strength and confidence back and is feeling great! Joy,age 79, has lost 30 lbs. and is keeping it off by working out three days a week and making sure her nutrition is balanced. Her bone density has increased significantly as well as her balance. She feels great and is full of energy.